Kiosks Dubai is an international city where opportunities of businesses of every type and size are immense. New buildings are constructed continuously and they provide opportunities for business for both big and small entrepreneurs. Despite the availability of several business apartments, one may find it difficult to get a place to set up a business. On occasions, it becomes very difficult to find a suitable place for setting up a small business because spaces in well-established areas are either rare or very expensive while there are little growth prospects for setting business in remote or newly established areas. In these circumstances, the best opportunity for small entrepreneurs is to set up kiosks (small stalls) in various famous malls in Dubai. These big malls are present in different parts of Dubai that receive large number of customers on daily basis. In several areas, there are malls owned by multinational brands. These malls are visited by well off local Emirati and expat population and one can expect huge profits after setting up kiosks in these malls. Therefore, these kiosks in big and small malls provide best business opportunities for those small entrepreneurs who can’t afford to purchase or hire space in business friendly areas of Dubai. You just have to ask the management of your desired mall and then register from Department of Economic Development (DED) to complete the process of setting up kiosks in different malls in Dubai. These kiosks are only allowed in mainland Dubai. Those who want to set up business as kiosks in malls of Dubai, have to follow these two steps for start of their expected profitable business. Kiosks are small stalls that are preset inside a mall. These are also called mall kiosk and retail merchandising unit (RMU). These stalls vary in size but usually they cover a very small portion of the mall in which they are located. In Dubai, interested persons can set up kiosks in malls after taking permission from the management of a mall. If management of the mall is interested in leasing the part of space in their mall then they will offer the space for setting up the kiosk at the price of their choice. Big multinational malls may allow setting up kiosks but they will charge high rent for these kiosks. The rent is charged according to the space grab by the kiosk. If you are selling products suitable for elite class then you can expect getting a good profit by setting up kiosks in these multinational malls. Other relatively smaller malls may allow you set up kiosk in low price. It’s upon you to choose the mall according to the products you are selling and the rent you can afford. Very small malls have little spare space and they usually don’t offer setting up kiosks. As compared to several other countries, you can’t get away only by having agreement with the management of any mall for setting up a kiosk. In Dubai, you will require permission and registration from the designated authorities. Department of Economic Development (DED) is the authority through which you can register your kiosk in any mall inside Dubai. 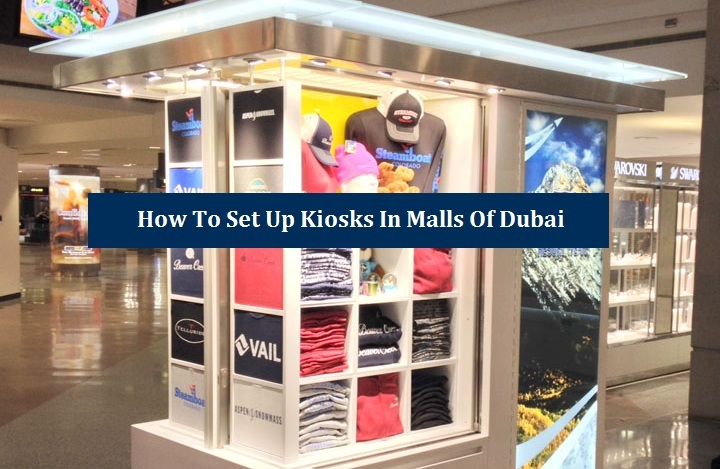 Going through the whole procedure of setting up kiosk in any mall in Dubai is not such a simple process for any new foreign entrepreneur. But you can easily get approval from DED for your kiosk business after consulting an experienced business consultancy firm. We at Riz & Mona Consultancy are providing guidance to foreign entrepreneurs who want to establish any small or big business in Dubai, and the entire UAE, since last 4 years. You can talk to us via our landline # 971 4 5586339. Dear sir, is it allowed to set up a tea coffee and snacks kiosk in a mall? If yes, then how much would be the expenses to set it up including ded license fee ? I am new in this, planning to set up kiosk in any well footfall mall. need guidance from basic. Hope to be answered soon. I’m looking forward to open small kiosk in malls. Would be difficult. I need details including amounts. Kindly provide. Hi i would to inquire for a small kiosk inside the mall what will be the expenses for a regular small business thank you.